Anthony Joshua expects to be mandated to fight Oleksandr Usyk next year, according to promoter Eddie Hearn. Pound-for-pound supremo and undisputed cruiserweight champion Usyk is expected to step into the heavyweight division this year, with the ultimate aim of challenging Joshua. Joshua must first make his US debut by defending the IBF, WBA and WBO belts against Jarrell ‘Big Baby’ Miller at New York’s Madison Square Garden on June 1. The unified champion hopes to claim every major heavyweight belt, a feat accomplished by Usyk in the division below, but will also be forced into mandatory defences. 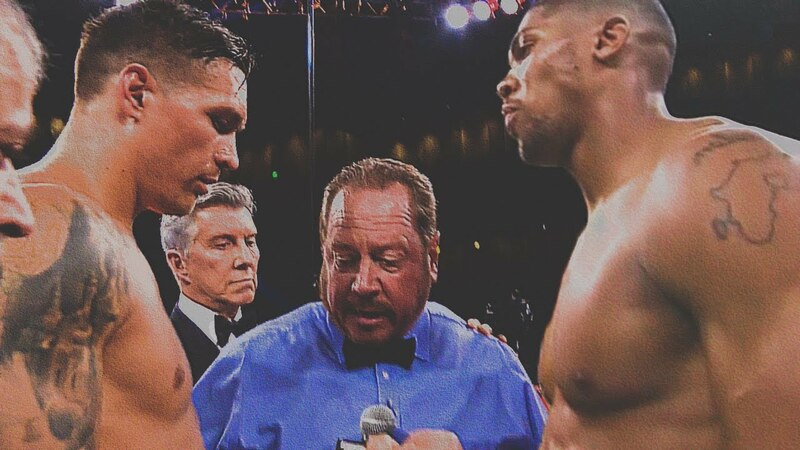 Usyk is set to be immediately installed as the WBO’s mandatory challengeronce he joins the top division, putting him on a collision course with Joshua. “Usyk will fight in May, probably in his heavyweight debut, potentially against Alexander Povetkin,” explained Hearn, who works alongside K2 Promotions to oversee Usyk’s career. “Then he’ll have one more. Then it looks like the WBO will make him mandatory for Anthony Joshua. Joshua and Usyk are both Olympic gold medallists and have amassed a combined 38 professional victories, no defeats, and seven world title belts. Usyk signalled his intentions to target Joshua during a stunning 2018 in which he won the inaugural World Boxing Super Series, and also won three fights in his opponents’ home countries culminating with his November knockout win over Tony Bellew. “The boxing world would desire the clash of two Olympic champs and two [future] undisputed professionals,” Alexander Krassyuk of K2 Promotions said last year. Joshua told Sky Sports last year: “Usyk needs to move up in the right stages, and figure out what it’s like being with 17 or 18 stone guys who can punch very hard. “It’s not just based on skill, the heavyweight division. It’s based on will. How much you can take.